Hello friends! PUbg has recently launched the test version of PUBG Lite pc in Thailand. Now, You can play PUBG lite pc game in lower pc without any lag and emulator. Good news for those who play PUBG Mobile on the laggy emulator. 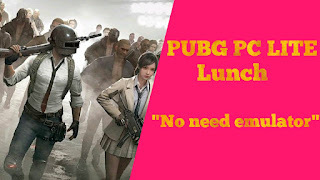 Now, You can play pubg pc lite through VPN Server. Pubg PC is currently testing at the lite version on Thailand server, will be a global lunch soon.